Mark Owen (center) of MEEMIC Insurance presented a check to the Lapeer Community High School on Tuesday in the amount of $1,800. The funds will be used for EBLI training for members of the LCHS staff. From left to right: Doug Grover, Cindy Tanke, Mark Owen and Bill O’Bryan. Kathy McKee, who will also participate in the training, is not pictured. On Tuesday afternoon, Mark Owen of MEEMIC Insurance presented Lapeer Community High School Principal Kevin Walters with a check for $1,800 to fund EBLI training for members of the LCHS staff. EBLI (Evidence Based Literacy Instruction) is a program designed to individualize literacy instruction for each student. EBLI trains educators so they are able to efficiently infuse instruction into their current curriculum that improves students’ reading and writing proficiency. According to Walters, it is effective for students across all skill levels and can be easily delivered at any grade level in individual, small group and whole class settings. 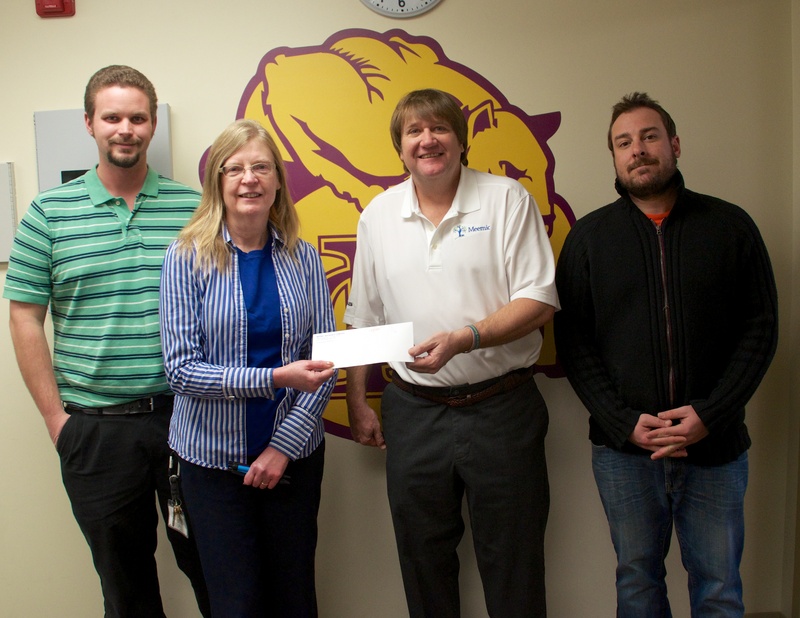 Lapeer Community Schools wishes to thank Mark Owen and MEEMIC Insurance for their generous gift. We enjoyed having Bill and Kathy in EBLI training last week – good luck to both in their first week of EBLI instruction!